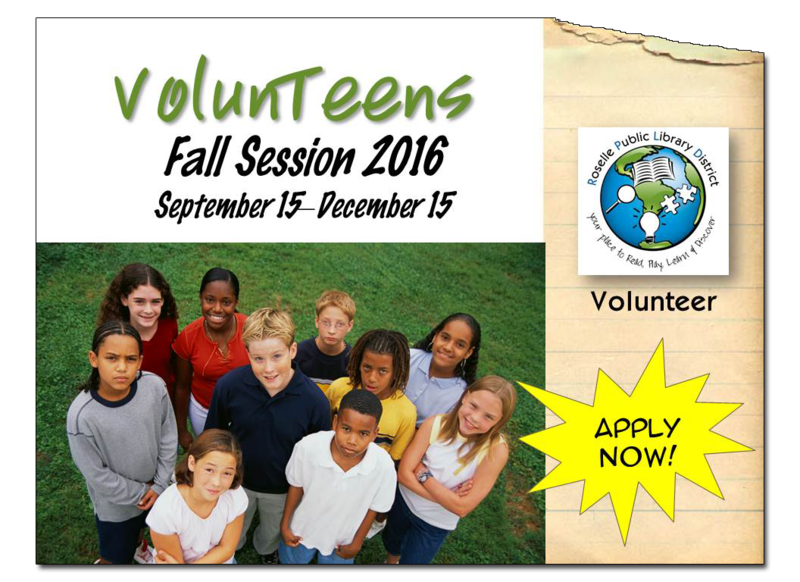 Fall VolunTeen Session Beginning Soon! Here's your chance! The Teen Scene runs 3 VolunTeen Sessions a year. The next session runs from September 15 through December 15. To become a VolunTeen, fill out an application, available the Library’s Reference and Adult Services Desk or the Youth Services Desk. Get in soon, as there are a limited number of VolunTeen spaces to be filled!